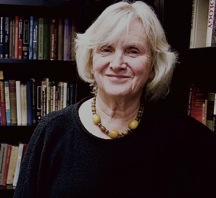 Jane Stewart is Distinguished Professor Emeritus, Center for Studies in Behavioral Neurobiology, Department of Psychology, Concordia University, Montreal. Her areas of research include physiological and environmental interactions in control of motivated behavior and brain plasticity, the effect of steroid hormones on brain and behavior; psychopharmacology and neurochemistry of drugs of abuse. Her former Ph.D. students and post-doctoral fellows hold research and teaching positions in universities in Canada, the United States and Europe (View in neurotree). B.A. 1956, Queen’s University, Kingston; Ph.D. University of London, 1959; Senior Research Biologist at Ayerst Pharmaceuticals, Montreal, 1959-1963. She joined Sir George Williams (now Concordia) University in 1963, served as chair of the Department of Psychology from 1969-1974, and director of the CSBN from 1990-1997. She has served on a number of committees at NSERC, CIHR and CFI and was on the editorial board of several scientific journals. She was an active researcher and teacher in the field of behavioral neuroscience and held grants from CIHR, NSERC, NIH and FQRS. Stewart, J., de Wit, H., & Eikelboom, R. Role of unconditioned and conditioned drug effects in the self-administration of opiates and stimulants. Psychological Review, 1984, 91, 251-268.
de Wit, H., & Stewart, J. Reinstatement of cocaine-reinforced responding in the rat. Psychopharmacology, 1981, 75, 134-143. Stewart, J., & Badiani, A. Tolerance and sensitization to the behavioral effects of drugs. Behavioural Pharmacology, 1993, 4, 289-312. Eikelboom, R., & Stewart, J. Conditioning of drug-induced physiological responses. Psychological Review, 1982, 89, 507-528. Vezina, P., & Stewart, J. Amphetamine administered to the ventral tegmental area but not to the nucleus accumbens sensitizes rats to systemic morphine: lack of conditioned effects. Brain Research, 1990, 516, 99-106. Kalivas, P.W., & Stewart, J. Dopamine transmission in the initiation and expression of drug- and stress-induced sensitization of motor activity. Brain Research Reviews, 1991, 16, 223-244. Flores, C., Samaha, A-N., & Stewart, J. Requirement of endogenous basic fibroblast growth factor for sensitization to amphetamine. Journal of Neuroscience, 2000, 20, RC55, 1-5. Shaham, Y., & Stewart, J. Stress reinstates heroin-seeking in drug-free animals: an effect mimicking heroin, not withdrawal. Psychopharmacology, 1995, 119, 334-341. Erb, S., & Stewart, J. A role for the bed nucleus of the stria terminalis, but not the amygdala, in the effects of corticotropin-releasing factor on stress-induced reinstatement of cocaine seeking. Journal of Neuroscience, 1999, 19, RC35: 1-6. Mueller, D., & Stewart, J. Cocaine-induced conditioned place preference: reinstatement by priming injections of cocaine after extinction. Behavioural Brain Research, 2000, 115, 39-47. Altier, N., & Stewart, J. The role of dopamine in the nucleus accumbens in analgesia. Life Sciences, 1999, 65, 2269-2287. Meaney, M.J., & Stewart, J. Neonatal androgens influence the social play of prepubescent rats. Hormones and Behavior, 1981, 15, 197-213.